Well, swatches eventually I did and swatches you will now see! 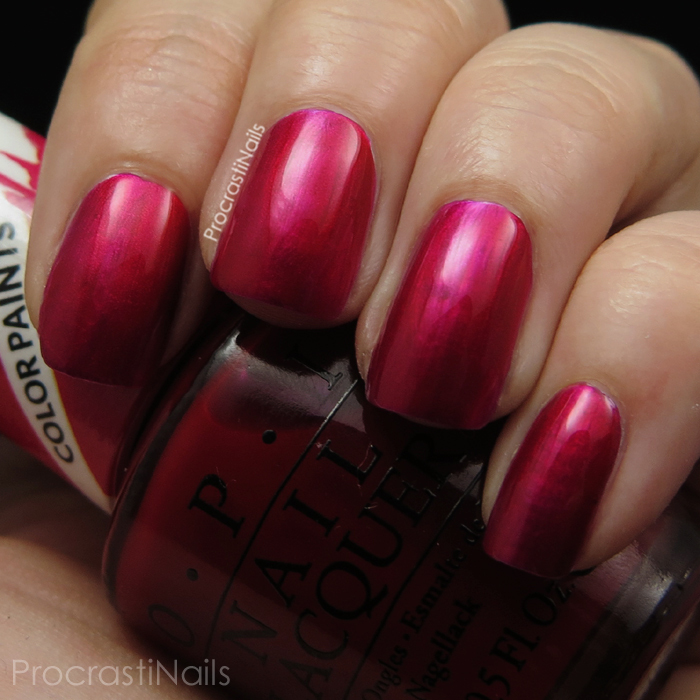 This is the full OPI Color Paints Collection and I'm excited to hear what you think of it! 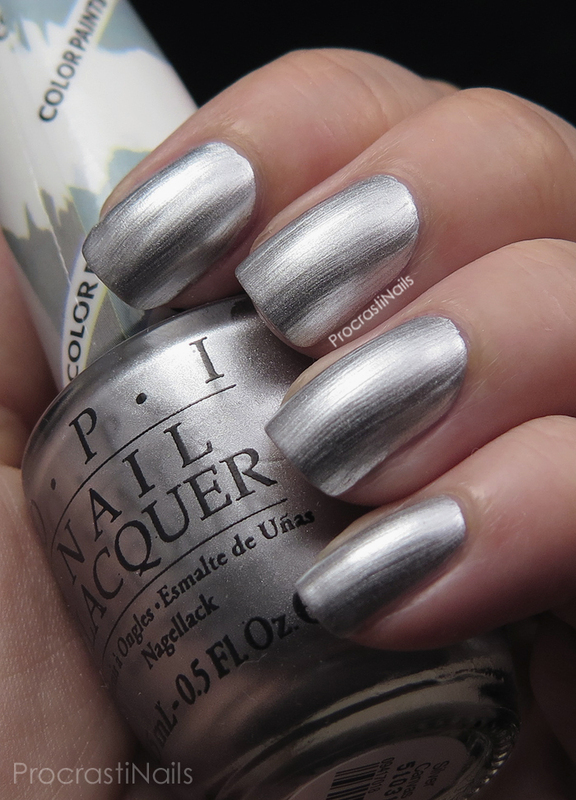 Silver Canvas is the base shade OPI decided to go with for the whole collection. It's a frosty silver metallic and it applies really well with one or two coats (depending how thick you go) even if it does leave brush strokes. 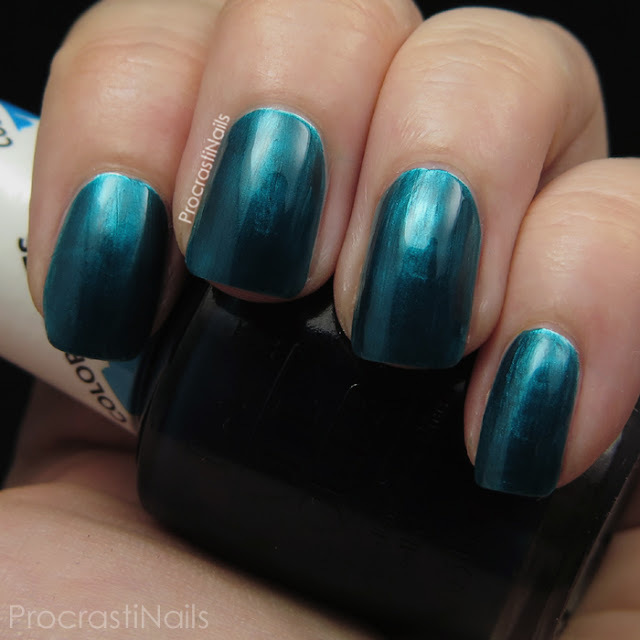 For these swatches I used two coats with no top coat, and there is also two coats below each of the colour swatches as well. Purple Perspective (I gotta say, I'm not really feeling these names...) is a deep and vibrant violet jelly. 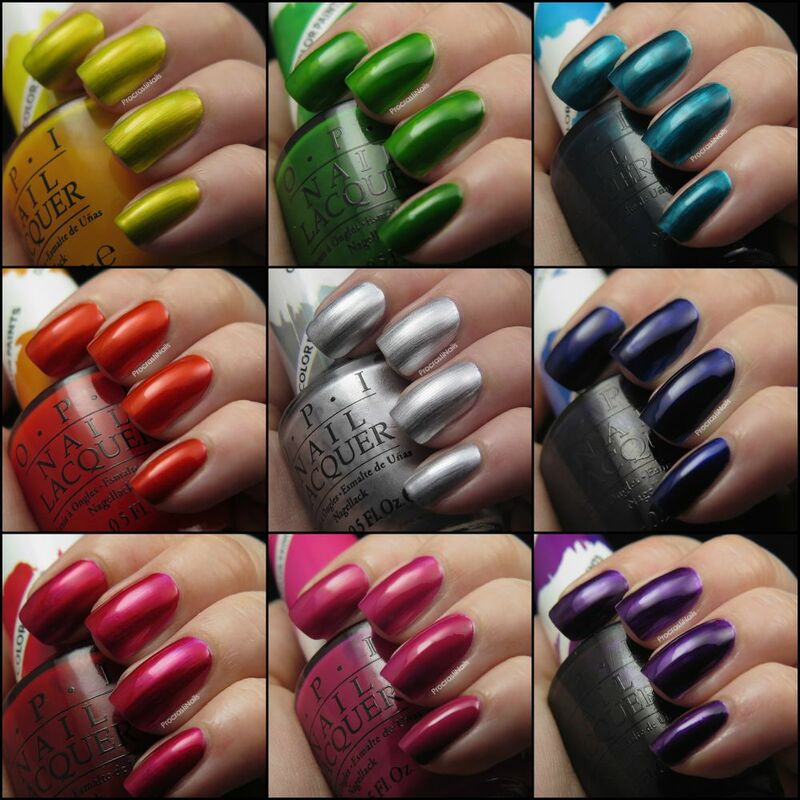 Pictured for these swatches is two coats without top coat on top of Silver Canvas, and it is fairly opaque compared to some of the others in the collection. The colour was a bit patchy in some spots with this one but it's hardly noticeable. 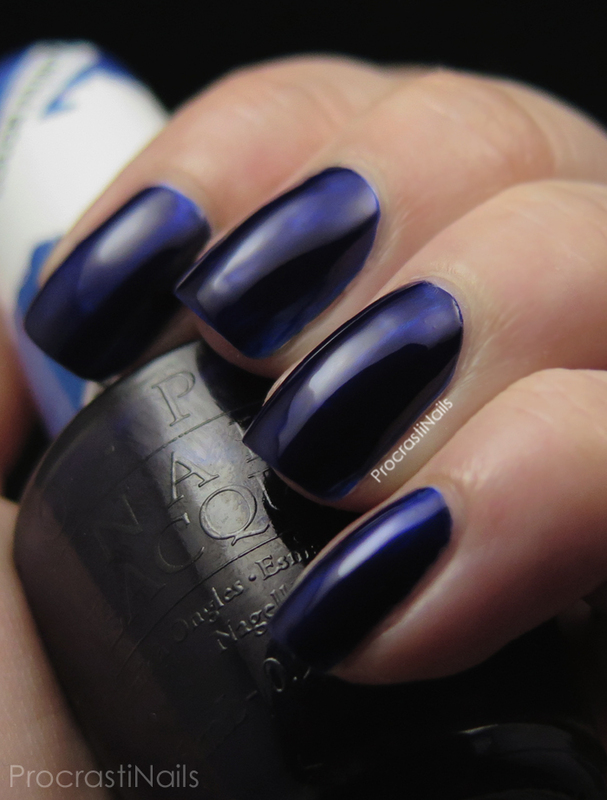 This deep indigo blue stunner is Indigo Motif, and like the rest of the collection it is a highly pigmented jelly polish. This is two coats without top coat on top of Silver Canvas and as you can see it applied wonderfully. I think this is my favourite from the whole collection! 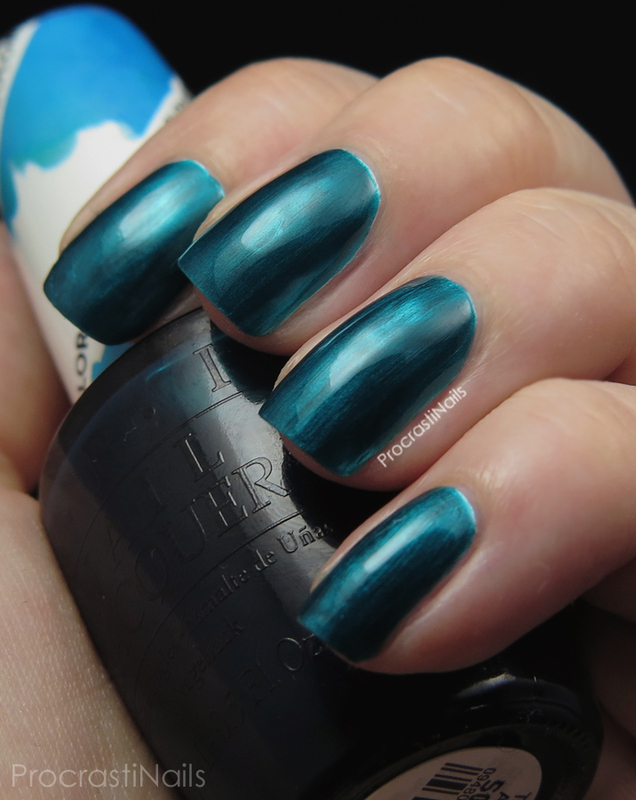 Turquoise Aesthetic is a jeweled turquoise jelly and while I really wanted to love this one it was one of the sheerest jellies in the collection and that combined with a bit of patchy application left me feeling like the :/ emoticon. It will still be great for nail art but if you wanted to wear this on it's own I would suggest three coats - pictured here is two without top coat on top of Silver Canvas. I gotta say again that I'm really not feeling the names of this collection but this is one of the ones I really don't mind! 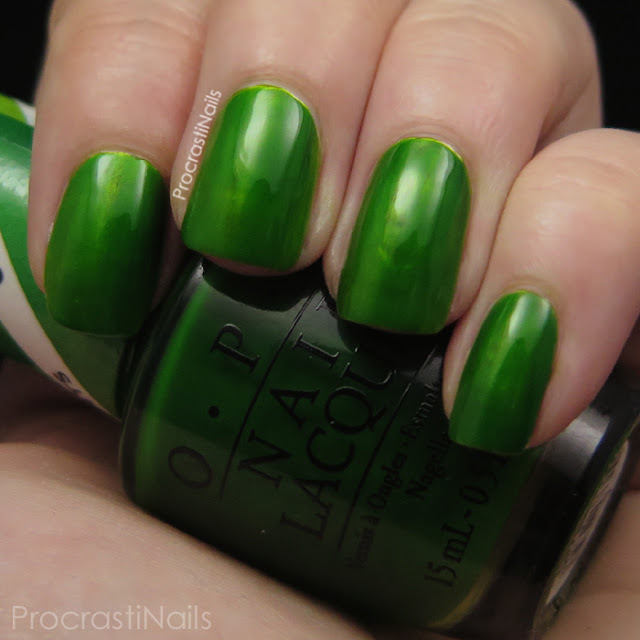 Landscape Artist really does remind me of fresh cut green grass! It's a fairly opaque jelly at two coats, though you still have to be careful with your base (my Silver Canvas base was a bit streaky in this one and you can tell). Pictured is two coats with no top coat. 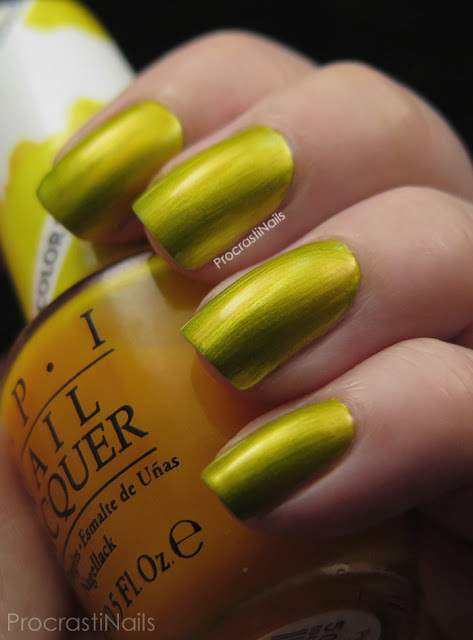 Bright and sunshiney Primarily Yellow is another sheer jelly from this collection so you'll want to be careful with your Silver Canvas base again. Any imperfections will show through! I love how it looks more yolk-y in the bottle but comes out cheery instead, and it applied wonderfully with two coats (no top coat). 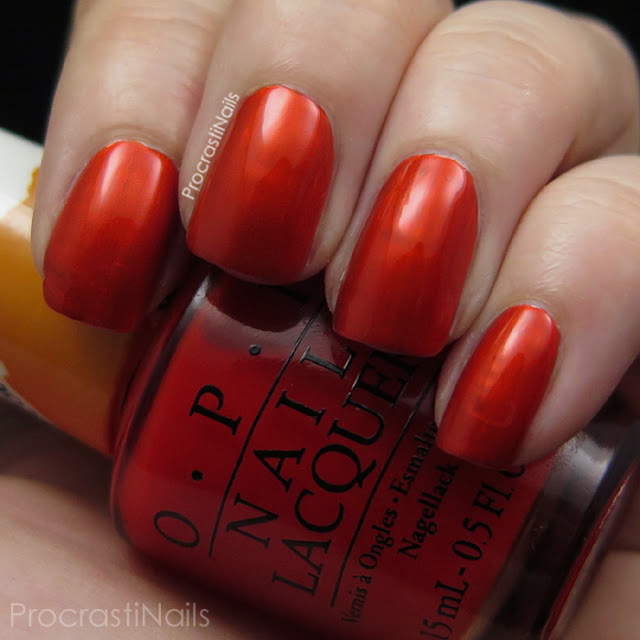 Chromatic Orange is a bright red-leaning orange jelly that I'm surprised to say I really like! Orange isn't usually my colour! Like most of the others it was surprisingly opaque for two coats and it went on without any issues. It's pictured here without top coat over Silver Canvas. Oh Magenta Muse, you are definitely my least favourite. 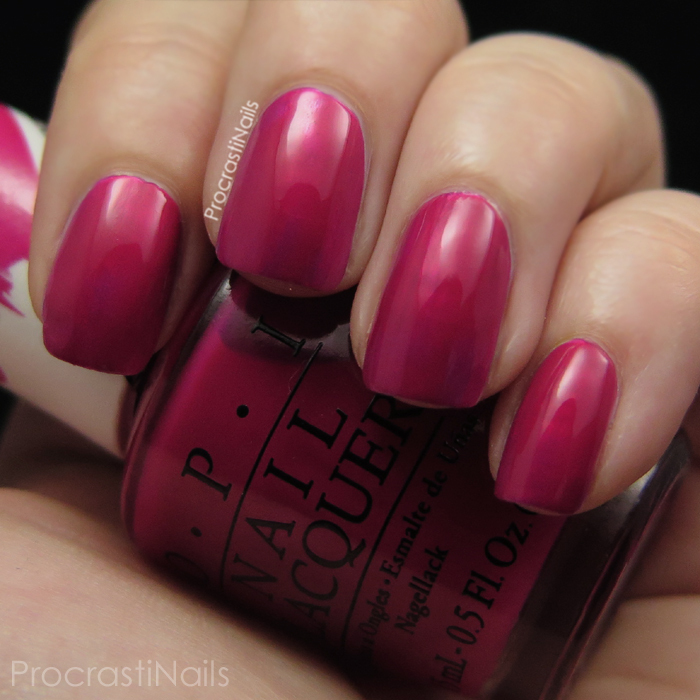 :( This was the reddish-pink of the collection in the bottle, though on the nail it's definitely more magenta. I wish there had been a true red, but I think red is a hard shade to get in a jelly. It's not my least favourite because I dislike the colour (it's actually really pretty) but rather because it didn't meet my red expectations. This one was on the sheer end and you can see the brush strokes from Silver Canvas coming through with two coats of colour, and there's no top coat for these pics. I bet you thought the last one was the pink for the collection, but nope! For that we have Pen & Pink which is a bright ruby pink jelly. This was at the more opaque end of the spectrum and what you see is two coats with no top coat over Silver Canvas. I had zero issues with application. Overall I think this is an awesome collection, and any of you who are still on the fence about it I would encourage to go and pick up at least a few shades. I like that they've marketed it with a silver base too, and even on it's own Silver Canvas is a great addition to my polish collection. Across the board application was great and the colours were vibrant. They seem a wee bit more pigmented than the Essie Silk Watercolours and are in a much different class than the OPI Sheer Tints, though I'm hoping to have some solid comparisons up in the next while so you can see for yourself. If I had to choose favourites they would be Indigo Motif and Primarily Yellow. What about you? Beautiful swatches! These are so awesome for nail art! I've picked up Primarily Yellow and Landscape Artist so far, but I hope to get them all before it's all said and done. Your swatches of these look great! I haven't picked any of these up yet, but I imagine they'd be fun to play with for nail art. I love how the navy looks on top of the silver base. 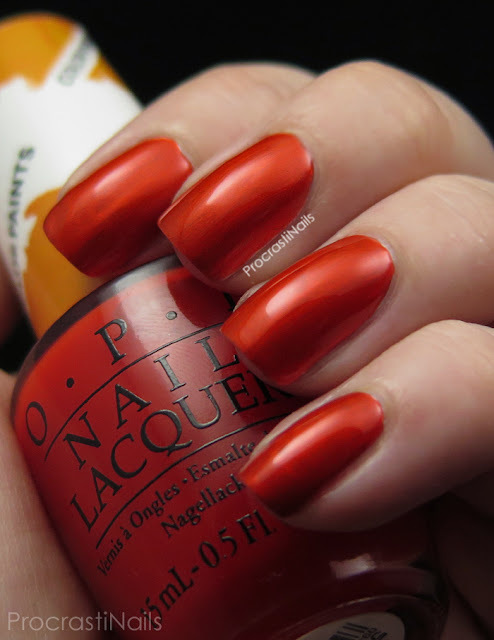 I love OPI color paints for they offer so many nail art ideas to try. I have nothing similar to Primarily Yellow, quite a unique shade! 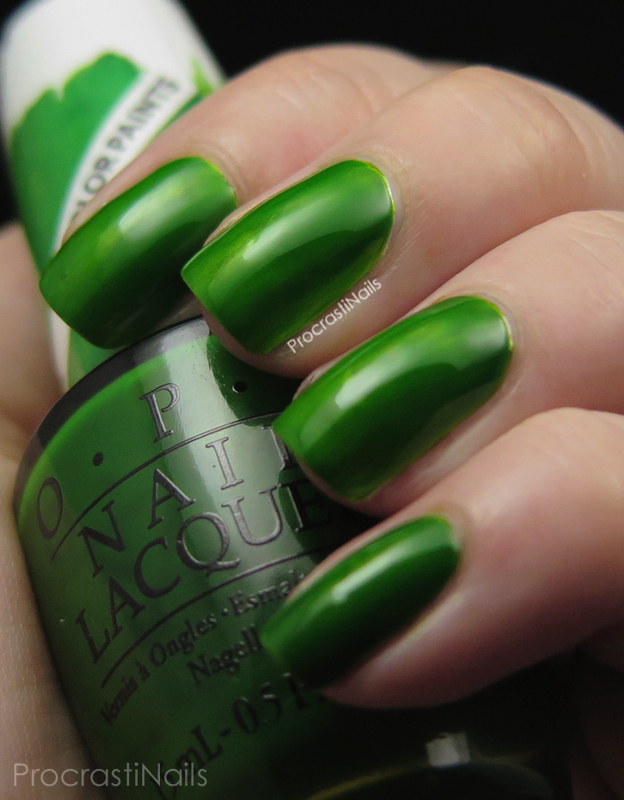 I'm not crazy about these on their own but they have a ton of nail art potential! I was really crazy over these in the beginning of the summer. It was such a unique release and I love the vibrant shades. I got these for mothers day, and they are just amazing. Though I totally agree about the names. Beautiful photos. 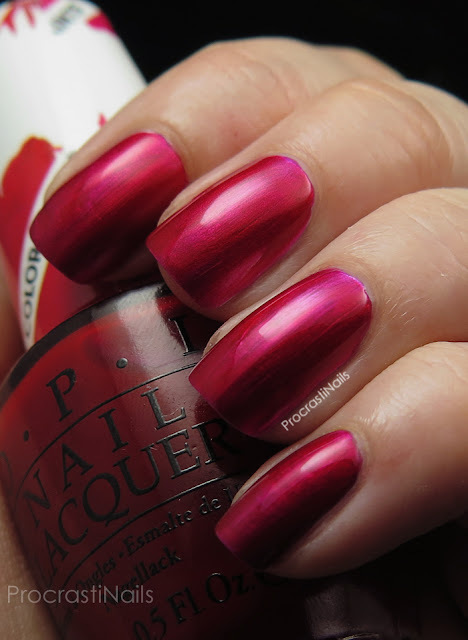 These look like really great polishes to have in a collection.